Scope out exhibitions of national and international works as well as artwork by students at the Blaffer Art Museum. 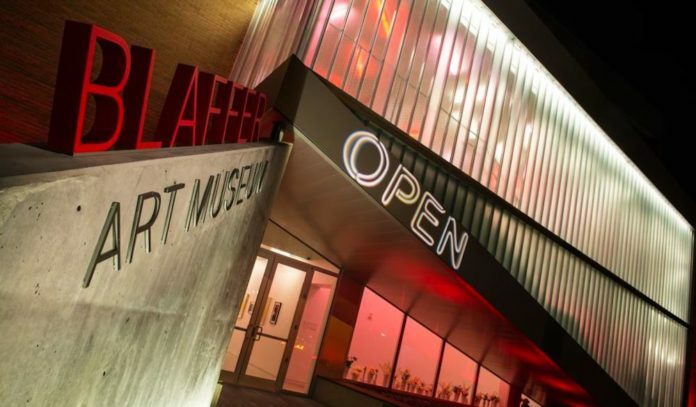 Located within the University of Houston campus in Third Ward, the Blaffer strives to be a gateway between UH and the City of Houston for creative innovation, experimentation, and scholarship. Founded in 1973, the museum was named in honor of the late Sarah Campbell Blaffer, who during her lifetime made available to the University a collection of major artworks dating as far back as the 15th century to modern day. Through free exhibitions, publications, and public programming, the museum cultivates a dialogue, invites participation, and inspires an appreciation for the visual arts as a vital force in shaping contemporary culture. Click here for a full list of current and upcoming exhibitions and events.